Welcome to the May Pals Blog Hop. This is the first hop on our new day - the 2nd Wednesday of the month. 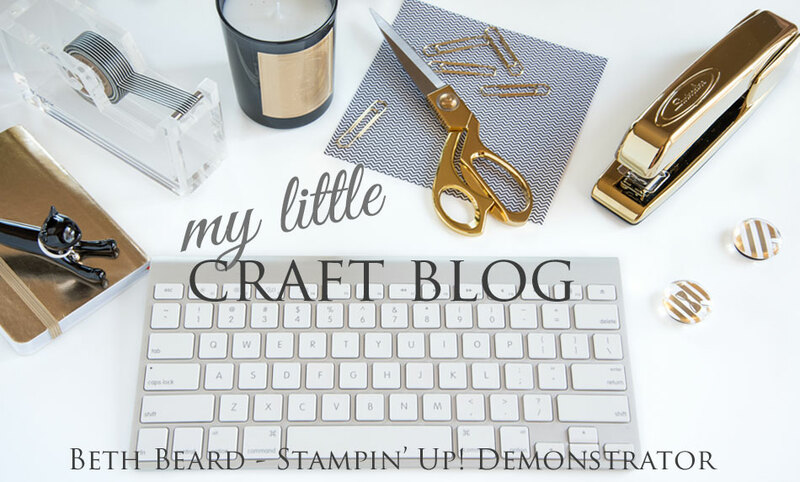 Before we celebrate the release of the new Stampin' Up! catalog next month, we want to take time to say goodbye to our favorite retiring products. This month we are showcasing projects that feature stamps or accessories that are retiring along with the 2013-14 Idea Book & Catalog on June 4th. You may just be starting the blog hop or may have come from #8 Michelle Quinno at Shell's Life on the Pals Hop. If you get off track at any time, the full lineup below will help you move along from blog to blog. 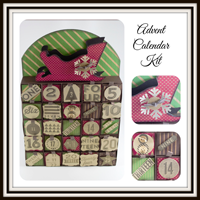 Delightful Dozen Stamp Set (clear) #122652 or (wood) #128547 - this the perfect little stamp set for all occasions. 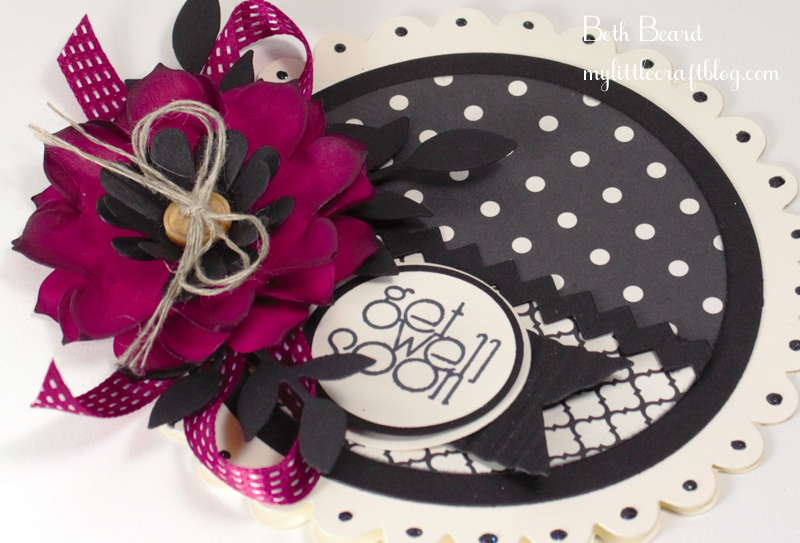 Scallop Circle Bigz Die #113468 - this is my favorite for making round cards. Perfect for cutting chipboard too. Tasteful Trim Bigz Die #120893 - this die I adore and you will continue see me posting projects using it to make custom edges and borders. It has scallops, rick rack, and pinking designs--a fantastic variety of classic options. 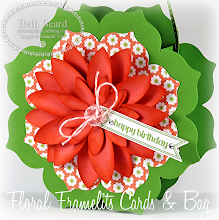 Blossom Party Originals Die #115971 - you can make the most beautiful flowers with this die. Little Leaves Sizzlits Die #114511 - don't you love how simple and elegant a small stem of leaves can be? Modern Medley DSP #126926 - classic patterns in classic styles. I have quite a stash of this DSP. Raspberry Ripple Card Stock #126842 - this was my fave In-Color from the 2012-2014 Collection. Raspberry Ripple Satin Ribbon #126845 - gorgeous satin ribbon. Naturals Designer Buttons #127554 - trendy, wood-like adornments. TIP: Do you love to add Stickles to your projects? 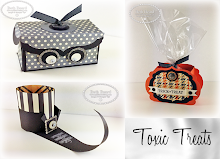 You can make your own with Stampin' Up! Ink Refills for a color coordinated project! I learned this nifty trick several years ago from Julee Tilman's blog - Poetic Artistry. Mix some Crystal Effects #101055 with a pinch of Dazzling Diamonds #102023 and add a drop of your color choice of Stampin' Up! Ink Refill. If it's too runny, add more glitter. Too thick add more Crystal Effects. Apply with a very fine brush or stylus. 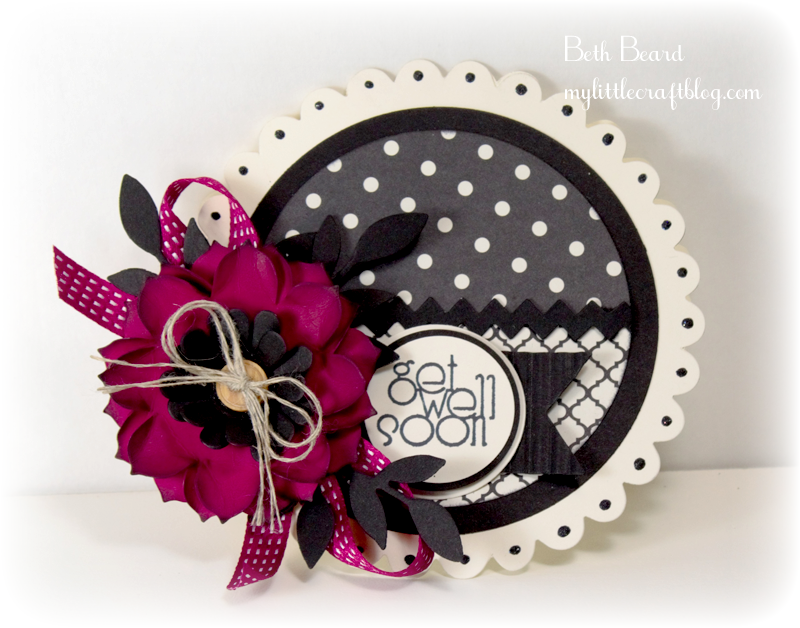 The next stop is #10 Amy Lazzell at Just A Thought...Cards by Amy on the Pals Blog Hop! Thanks for visiting and I hope to see you next month. Just picked my jaw back up...stunning, Beth! That flower is incredible! wow that's awesome! It just pops! Those colors are gorgeous together, Beth! I think this card would cheer anyone up. Thanks for the tip on the stickler too! So beautiful Beth. Love the Sitckles tip too. Fantastic! Great color combo and use of DSP! Wow, love the Raspberry Ripple flowers and ribbon they look fantastic against the black and white. Stunning!! Fabulous, Beth!!! The colors and the scalloped design are just beautiful....sorry we have to loose these wonderful products and more! Cute card Beth!!! Love it!!! Seriously Beth, you make amazing cards! I love your bows and flowers - on every card you make. 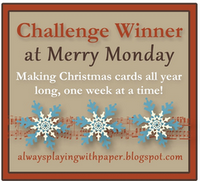 I am always excited to see what you do, and this card is, like Kerry mentioned, jaw dropping. I'd never even heard of stickles, but now I even know how to make them! Keep making beautiful cards, girl!